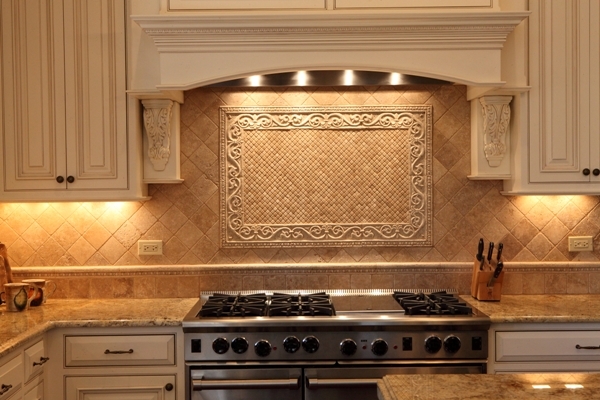 If you want your kitchen to have that “wow” factor consider using a stylish backsplash with an ornamental centerpiece medallion. 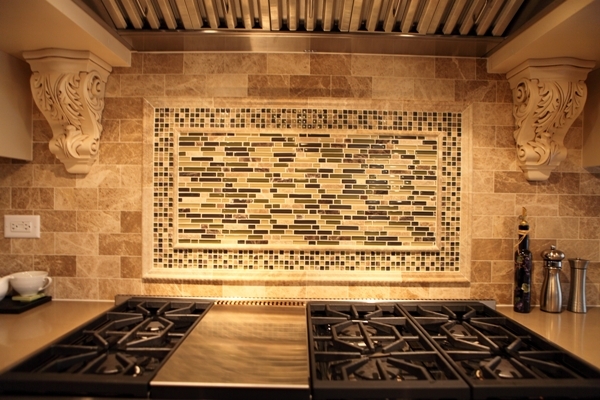 A dramatic backsplash can make the difference between just having a nice kitchen to having one that is elegant, eye-catching and charming. 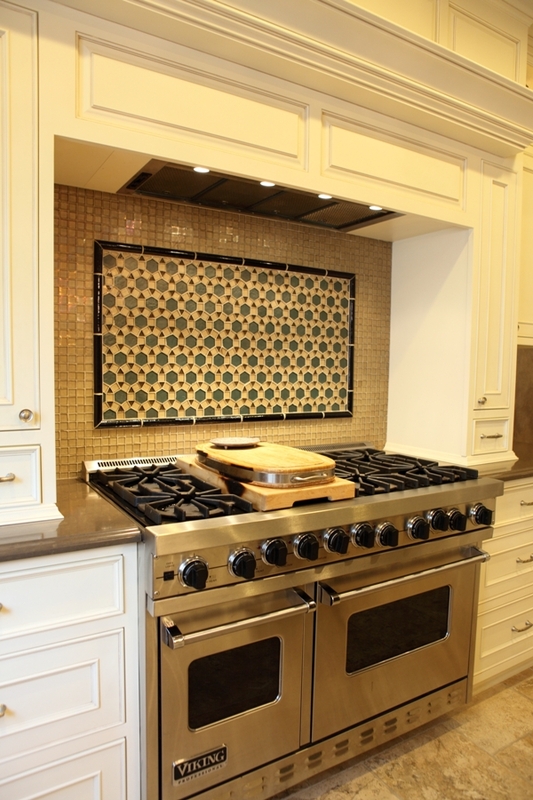 Consider adding a decorative centerpiece medallion behind the range or sink to add an extra layer of artistic appeal. 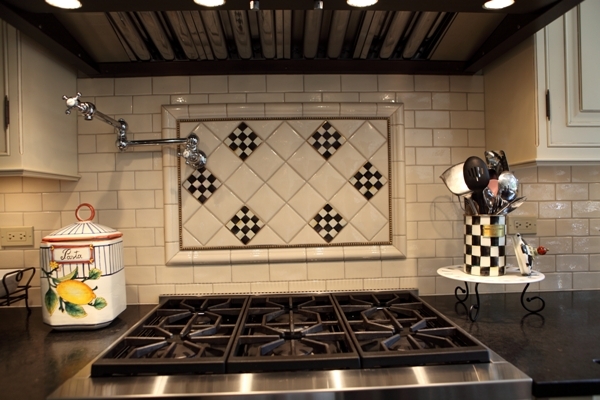 Battaglia Homes builds award-winning homes in Hinsdale and Chicago’s western suburbs which contain many elegant designer kitchen features. 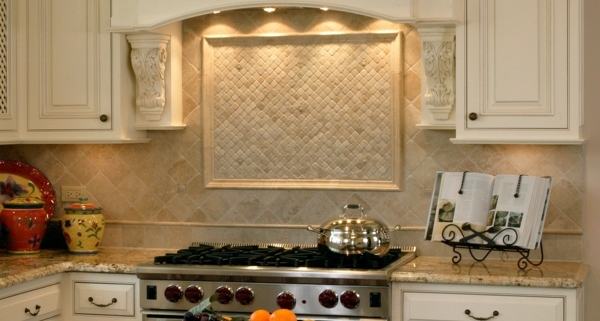 Check out some of our backslash centerpieces below. For additional information about Battaglia Homes visit our gallery of homes page or contact us at 630-669-4280. 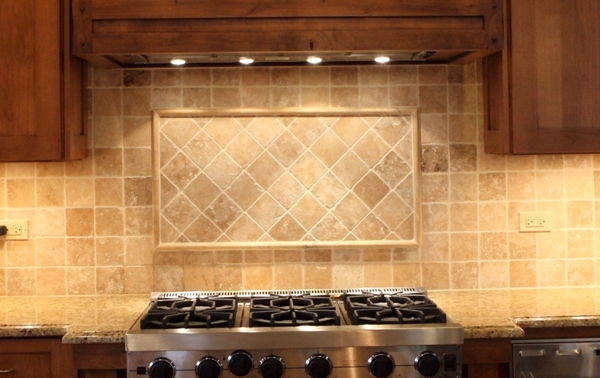 Backsplashes can really transform your kitchen into something extra special. It feels much more luxurious and is a really nice design touch.